Energy Transfer Partners (ETP), the company building the controversial Dakota Access oil pipeline, says it plans to resume work immediately after getting permission from the US Army. ETP said the remaining work on Dakota pipeline would take about three months to complete. The $3.8 billion project had stalled for months due to opposition from Native American protesters. According to the Standing Rock Sioux tribe, the pipeline could endanger its drinking water and desecrate sacred sites. The final section of the project is a crossing under Lake Oahe that would carry North Dakota oil through the pipeline to Illinois. The Army had begun further study of the river crossing after contamination fears raised by the Standing Rock tribe, but it notified Congress on February 7 that it would stop the study and grant ETP permission to continue work. The decision came after Donald Trump formally backed the project last month in one of his first executive orders as president. Thousands of predominantly Native American protesters have boycotted the pipeline’s construction in the state of North Dakota. The 1,172 mile, four-state project is almost finished except for the one-mile stretch under Lake Oahe, where demonstrators have set up protest encampments. The Obama administration announced in September 2016 that it would not allow the project to proceed, but Donald Trump overturned the decision. An easement is a special permit that allows a company to cross private land. North Dakota’s two senators welcomed the Army’s announcement. Standing Rock Sioux lawyers said approval of the project cannot be “legally granted at this time”. 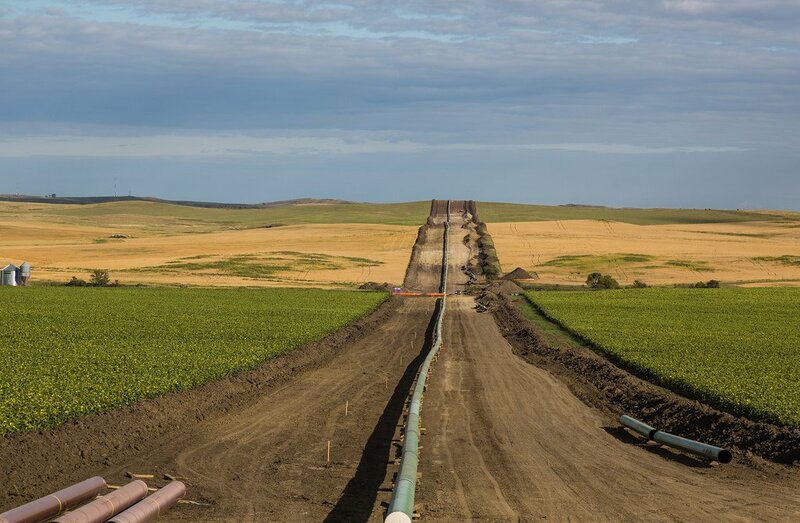 Environmental groups, including Greenpeace, the Sierra Club, and the Center for Biological Diversity have criticized the decision and vowed to fight the pipeline. They accused the Trump administration of putting corporate profits ahead of Native Americans and the environment. Nearly 700 people have been arrested since protests first began in 2016, according to law enforcement officials. Just last week 76 protesters were arrested after refusing to leave land owned by the energy company.